If you know me well, you know that I am a complete sucker for all things bulldog. 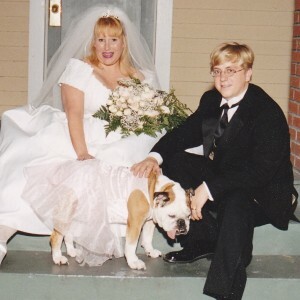 My beloved Chelsea was the flower girl when I married E, much to her distaste of wearing a tutu. 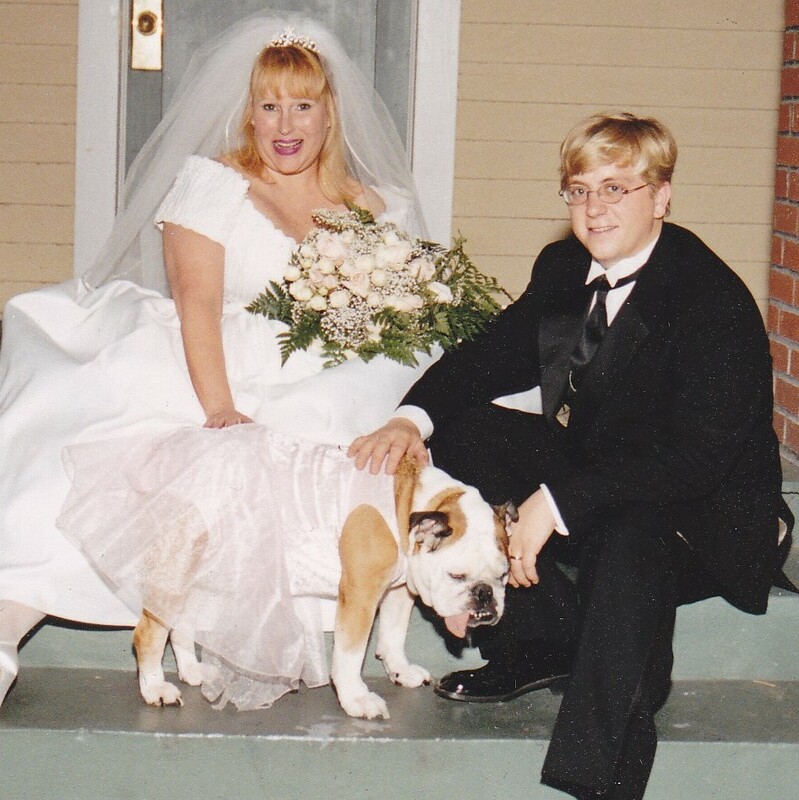 Chelsea went to heaven many years ago, but my love for English Bullies stays strong. 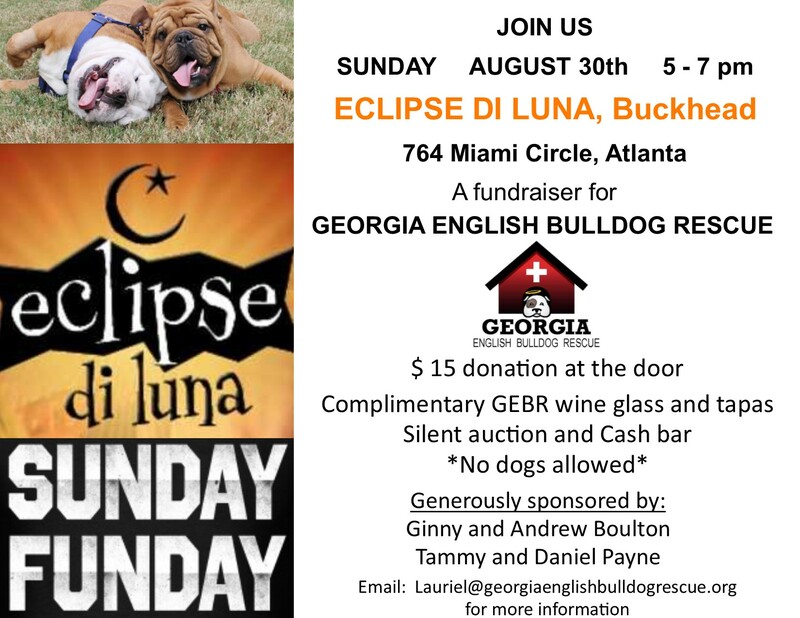 The wonderful folks at the Georgia English Bulldog Rescue are always taking in stray and abandoned (how can that even be a THING?) English Bullies and give their all doing so. 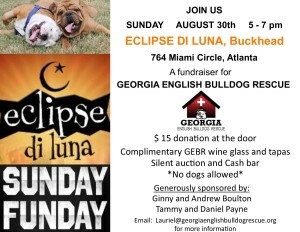 So go out next Sunday and grab some yummy treats for a great cause.